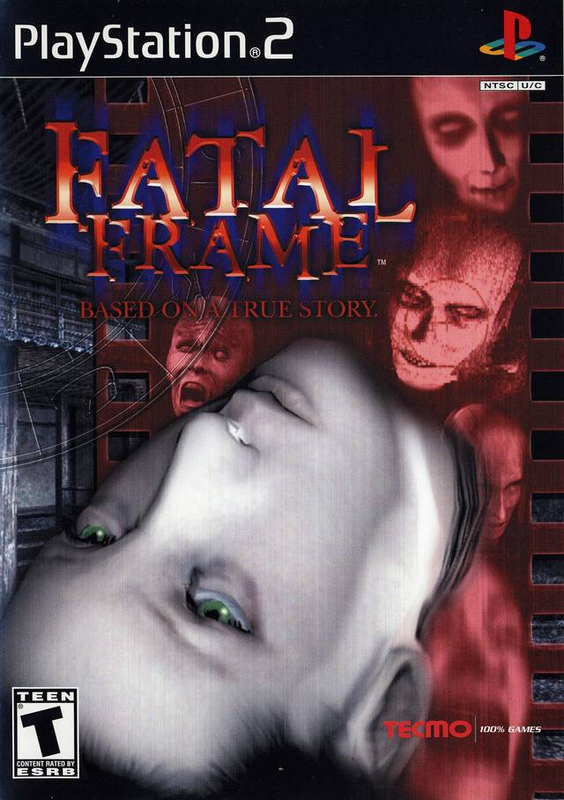 Fatal Frame may be the scariest game I’ve ever played. “Wretched” might be the best adjective to describe this game, as it oozes with an overpowering atmosphere of desolation, apprehension and dilapidation that is completely unique amongst the horror games I’ve played. Fatal Frame chronicles protagonist Miku Hinasaki’s terrifying investigation of the haunted Himuro mansion, a decrepit feudal Japanese castle that is the legacy of the depraved and extinct Himuro clan. In a classical horror fiction conceit, Himuro is in search of her brother who went missing during his own investigation of the sinister site. 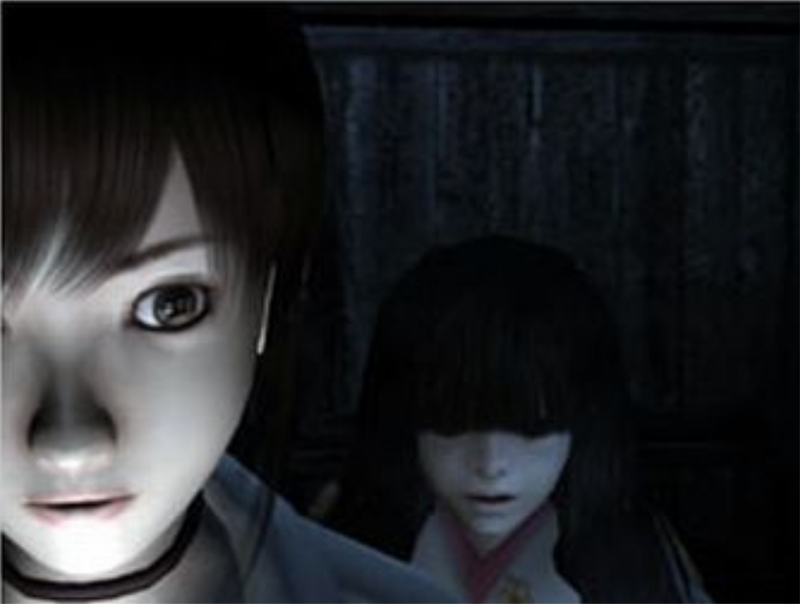 The main conceit of Fatal Frame (for which it is named) is the use of an antique camera, the Camera Obscura, to damage the malevolent ghostly denizens of the mansion by way of capturing the apparitions on film. As I stated before, the most impressive aspect of Fatal Frame is the unrelenting atmosphere. Himuro mansion is in utter ruin but still intact enough to provide an ominous interior space that weighs on the player’s spirit. The mansion is musty, dark, and, as a result of its feudal origins, lacks windows in most of its rooms. These aspects create a feeling of unnerving isolation for which I know of no other comparison amongst the games I’ve played. The isolation is the key component in the tension that pervades the experience of this game. I’ve had some trouble getting through the game simply because I can only handle ~30-40 minute play sessions before the oppressiveness of it all just leaves me exhausted. I seem to remember this game releasing to rather tepid reception when it originally came out which leaves me utterly confused after playing through it now as it stands amongst the most horrifying games I’ve ever played. Playing such an excellent example of a horror game makes me reflect on what actually makes for good horror in video games. I’ve always had a disagreement with a friend of mine over what actually makes a game scary. In his mind, he places a heavy emphasis on limited ammunition and encumbered combat. I, on the other hand, place focus on atmosphere and story. I think Resident Evil 4 is a good example that illustrates our differences. I find Resident Evil 4 to possibly be the scariest of the series. So many gruesomely dreadful locations and situations hang in my memory from that game, such as the initial assault at the village, the Regenerador lab, and the encounter with the Verdugo in the maintenance area. By contrast, my friend feels that Resident Evil 4 is the least scary of the series up to that point, as there is a relative abundance of ammo, healing items, and weapons which eliminates tension from combat. Personally, I don’t feel that such combat design really increases my dread in a game, perhaps because I’m always aware that I can just reload at the last save point if I die and therefore don’t perceive the same sense of danger. This relates to Fatal Frame because, at least in my perspective, the game is least scary when you are actually under attack by a ghost. Combat with the ghosts is fairly simply. The ghosts float toward Miku, sometimes in unique patterns that the player has to adapt to, while the player tries to keep the camera focused on the ghost’s weak spot for as long as possible to build up the damage that will be inflicted when as shot is taken. If Miku is caught by a ghost, the entity just sort of shakes her for a little bit before it backs off. These experiences are not really all that frightening. The praise I give Fatal Frame is far more rooted in the dreadful atmosphere, aggressive suspense, the oppressive feeling of isolation, and the horrifying story that unfolds. Himuro Mansion is just a deeply discomforting place to walk around in, and the game keeps the player on their toes by sprinkling in some insanely creepy jump scares, cutscenes, and eery peripheral events. In the end, I’ve been a little vague on specific examples of what makes this game work, but that is mainly because I want to avoid spoilers, as I feel this is a title any fan of horror games should seek out and play. It can currently be found in the PS2 classics selection for PS3 which is available via PSN, but physical copies can be found of the original PS2 and Xbox (the first Xbox 1) versions.